FROM R1330 PER PERSON p.p. For a little bit of heaven in a very special land, visit Little Switzerland Resort on the slopes of the mighty Drakensberg. A jewel set in a 3000 hectare private reserve of rolling hills, indigenous forest, mountain streams and breath taking views. Rise with the sun to view the majestic grandeur of the Amphitheatre in one of her many guises...clad in clouds, shrouded in snow, mellow in mist or crisp and clear. For those who love privacy and a combination of creature comforts and independence, the comfortably furnished chalets are a world apart. All have magnificent panoramic views of the amphitheatre or lush surrounding forests. We have a conveniently situated "Quick Shop" at our entrance which stocks coldrinks, sweets, chips, bread, milk, a selection of vegetables, some meats, tinned foods, tea, coffee, cereals, cheese, cold meats, selected toiletries etc. - 8:00 to 17:30 in Winter. - 8:00 to 18:00 in Summer. Should self-catering guests wish to enjoy a meal at our restaurant, Coyote Café. The restaurant has a wide range of dishes cooked to perfection to tantalize your taste buds. Our petrol station is situated outside our main gate on the R74. It stocks 93 Unleaded and Diesel. - 7am to 5:30pm in winter. - 7am to 6:00pm in summer. Hotel Accommodation is on a Bed & Breakfast basis only. 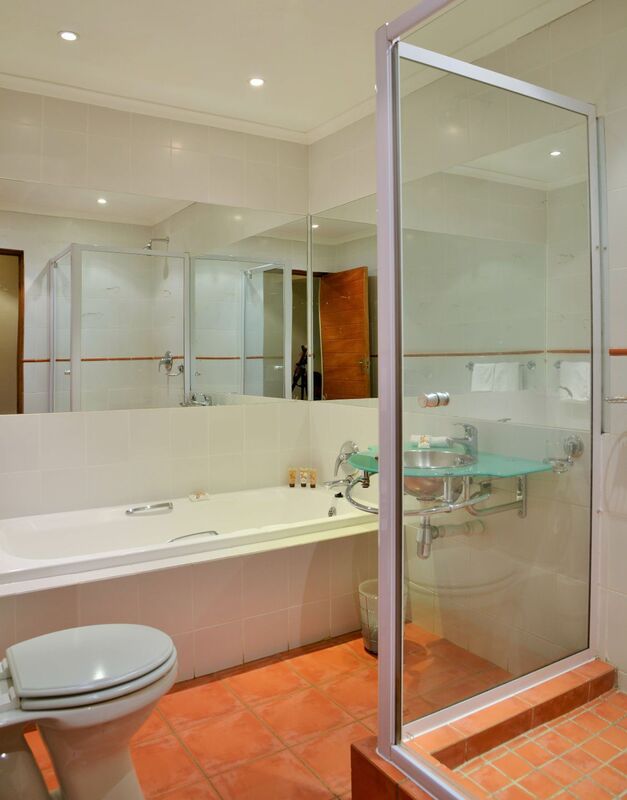 All rooms are ensuite and have a colour television (SABC 1/2/3, M-Net, Movie Magic, e-TV, SuperSport 1 & 2, Discovery and Kiddies Channel), and tea & coffee making facilities. Sporting amenities include: tennis, swimming, hiking and leisurely strolls. We offer horse riding, bowls, croquet, putt-putt, volleyball, mountain bikes, and quad biking and fishing. * Horse Rides (maximum 12 maximum - 1 hour with guide). Please enquire for rates. - Summer times 09h00; 11h00; 14h30; 16h00 - booking essential. - Winter times 09h00; 11h00; 14h30; 15h30 - booking essential. * Pony Rides No charge (under 13 years). - Summer times 10h00; 14h00 - booking essential. - Winter times 10h00; 14h00 - booking essential. * Mountain Bikes. Please enquire for rates. * Quad Bikes - Kids for + - 20minutes and adults for + - 1.5hrs. A deposit per adult for Quad. Please enquire for rates. * Fly Fishing. Please enquire for rates. * Fly Rod Hire. Please enquire for rates. * Trout fishing. (Maximum 2 fish). Please enquire for rates. * Jungle Gym no charge. Relax... and indulge in a de-stressing Massage Treatment. Our Therapist will spoil you in the comfort of your own room! 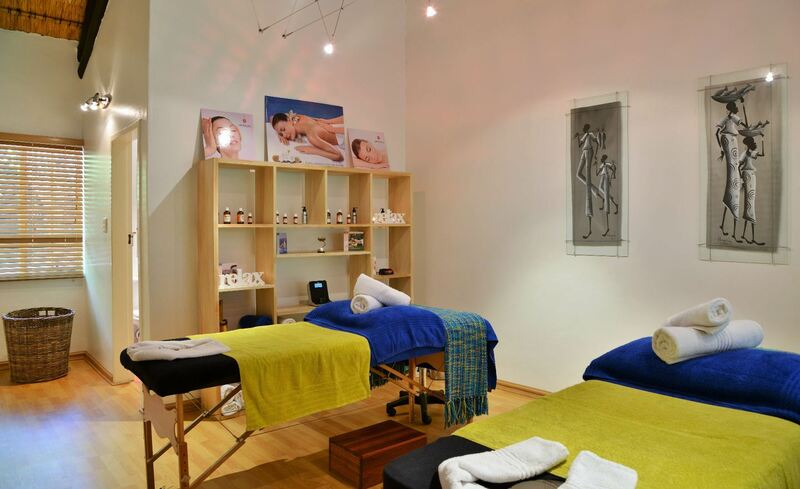 Enjoy a relaxing massage to heal, balance & rejuvenate tired, sore or aching muscles using a range of essential oils specifically. - All facilities of Little Switzerland Resort are available to resident guests only. "The peace, views & food are out of this world"
"What a stunning location, we stayed in the honeymoon suite which had breathtaking views of the amphitheatre and horses and zebra that live on the property. We didn't feel the need to leave Little Switzerland to further explore the area as everything we needed was at our fingertips. The chef is real..."
"What a stunning location, we stayed in the honeymoon suite which had breathtaking views of the amphitheatre and horses and zebra that live on the property. We didn't feel the need to leave Little Switzerland to further explore the area as everything we needed was at our fingertips. The chef is really talented, everything from seafood to salads to steak to pasta & vegetables were deliciously cooked "
"Our chalet was neat and very clean. The cleaning lady was very efficient. The restaurant is above average, and the garden immaculate. All staff members that we encountered were friendly and helpful. 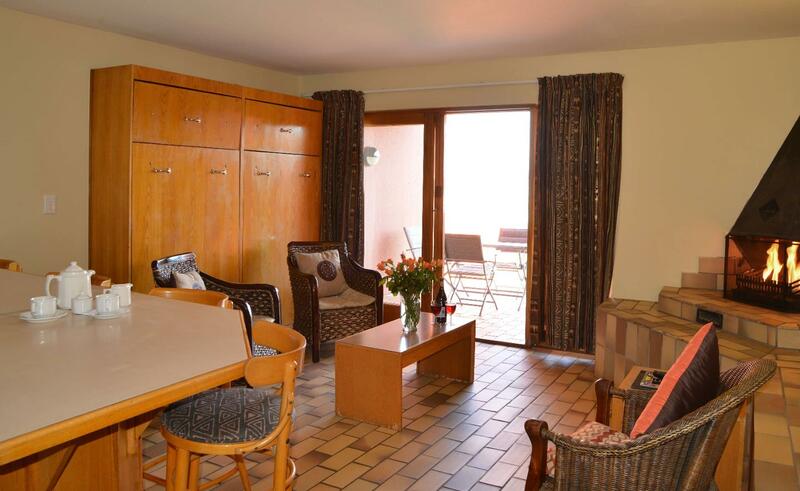 In terms of fittings and furniture the chalets are somewhat inferior to those found at most other res..."
"Our chalet was neat and very clean. The cleaning lady was very efficient. The restaurant is above average, and the garden immaculate. All staff members that we encountered were friendly and helpful. In terms of fittings and furniture the chalets are somewhat inferior to those found at most other resorts in the area. The chalets need an interior revamp. " "We stayed at Little Switzerland the past weekend. We felt so welcomed when we arrived. The staff is very friendly and professional. Loved the food and the service. Well done Little Switzerland. You made our stay a memorable one. PS: I loved the Zebra:)"
"My stay was excellent. The highlight of my stay was the hospitality of the staff, their service was up to standard. It was cold over the weekend of our stay, but our room was kept warm and cosy with under floor heating and great facilities. We had a great weekend away and would definitely revisit." "The whole atmosphere was delightful. The scenery surrounding us was so beautiful. It was different to your ordinary get away. The place was immaculately clean and well structured. Our room was warm and comfortable, with everything we needed. The staff were well presented and friendly. I enjoyed the ..."
"The whole atmosphere was delightful. The scenery surrounding us was so beautiful. It was different to your ordinary get away. The place was immaculately clean and well structured. Our room was warm and comfortable, with everything we needed. The staff were well presented and friendly. I enjoyed the peace and quiet. I would definitely recommend this resort to anyone." "We had an awesome stay at Little Switzerland. The staff went out of their way at every turn to make sure everything operated smoothly. The chef should be commended as dinner and lunch was amazing. We did breakfast and one evening braai in our chalet and the kitchen was very well equipped. The unit w..."
"We had an awesome stay at Little Switzerland. The staff went out of their way at every turn to make sure everything operated smoothly. The chef should be commended as dinner and lunch was amazing. We did breakfast and one evening braai in our chalet and the kitchen was very well equipped. The unit was serviced efficiently and spotlessly cleaned. And lastly all the activities we booked for our children was presented perfectly and exactly on time. We will definitely be returning in future." "The beauty of Sterk fontein Dam"
"Enjoyed the stay. Accommodation was comfortable, clean and cosy. However, don't like the idea of paying for wood. Many other places in the berg provide wood without charge. Becomes restricting to enjoy the cosiness fully. Otherwise certainly would recommend to friends and family." "Little Switzerland Resort - Beautiful"
"The place has a absolutely lovely view and the friendliest staff. Food was great, the bedrooms was cosy, warm and comfortable. Everything was clean and well-kept. We will definitely go back." "We had a fantastic weekend. Lots to do for the children. Beautiful scenery. The reception staff were so friendly and added to our feeling welcome. We had dinner in the Restaurant on Saturday evening and it was an exceptional Buffet and again we must compliment the staff and waiters they paid good at..."
"We had a fantastic weekend. Lots to do for the children. Beautiful scenery. The reception staff were so friendly and added to our feeling welcome. We had dinner in the Restaurant on Saturday evening and it was an exceptional Buffet and again we must compliment the staff and waiters they paid good attention and the service was excellent and very friendly. I would highly recommend the resort." "Beautiful Surroundings and Excellent Staff"
"Not only is the setting absolutely amazing, the staff go out of their way to make your stay as comfortable and memorable as possible. Our daughter fell ill on the weekend. When we went to the restaurant on the Saturday night, the staff prepared a special corner for her to lie down in. They brought h..."
"Not only is the setting absolutely amazing, the staff go out of their way to make your stay as comfortable and memorable as possible. Our daughter fell ill on the weekend. When we went to the restaurant on the Saturday night, the staff prepared a special corner for her to lie down in. They brought her a pillow and blanket, without us requesting any of this. The food in the restaurant was top notch and perfectly prepared to our specifications. Never did we have to look around for our waiter when we needed him. The spa at the resort was excellent. We were treated like we were the only guests they had to tend to that day. The tranquillity of the resort made us think to stay another few nights, if only we could. We'll definitely be back." "The place is really beautiful; it was awesome being away from the city"
"Really friendly staff and good service. They need new blankets"
"Go carts for the kids"
"Chalets need an upgrade - bedding, curtains,ect"
"A peaceful quiet break "
"Very nice tidy place away from stresses of life. Lovely views of the mountains. Only the stairs in chalet a challenge with my bad back. " "I loved the atmosphere, the beautiful garden and the fact that it was child-friendly. The children enjoyed themselves and had a great time. We received good service from the staff and they were helpful. Our stay was fantastic." 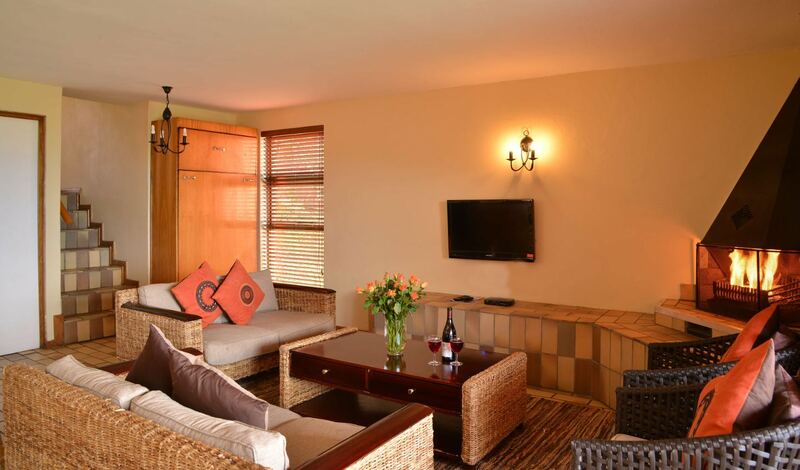 "Although the accommodation dŽcor was dated, the space in the self catering chalet was ample. The location and activities also make up for any negative experiences. I would love to return to the Drakensberg again." "Little switzerland was a lovely place to stay for a few days with enough to do. chalets comfortable and clean but need some upgrading. " "The accommodation, the View, The service, the meals were all wonderfull. We had a super time at the hotel and would definately stay again." "Had an amazing weekend at Little Switzerland. The staff are friendly and efficient. The two managers are on the ball and interact personally with guests. My husbands dietary request was given special consideration. The suite was comfortable and stocked with the necessities. The buffet had a wide var..."
"Had an amazing weekend at Little Switzerland. The staff are friendly and efficient. The two managers are on the ball and interact personally with guests. My husbands dietary request was given special consideration. The suite was comfortable and stocked with the necessities. The buffet had a wide variety to cater for different tastes and the food was tasty. I would definitely go back there. The highlight for me at this resort was the friendly staff." "We enjoyed the stunning views and peace and tranquility that Little Switzerland had to offer. The 6bed self catering chalet was clean and well stocked. The underfloor heating, electric blankets and indoor fireplace with wood in stock were appreciated in the cold winter weather." "Our stay was absolutely amazing and brilliant. The accommodation was perfect and well furnished and equipped. There were also lots to do for the kids; they had a ball of a time! The restaurant was also really good, the meals were very tasty. The staff was super friendly and helpful, they were very g..."
"Our stay was absolutely amazing and brilliant. The accommodation was perfect and well furnished and equipped. There were also lots to do for the kids; they had a ball of a time! The restaurant was also really good, the meals were very tasty. The staff was super friendly and helpful, they were very good, they even courier an item I forgot at the resort. Thank you so much for the amazing time." "we had 5 wonderful days this past week. The staff were all helpful, friendly and polite. ÊThe food was well presented and really great. The accommodation was comfortable and clean. There was also alot of activites for my children. I would recommend Little Switzerland and we will defintely be back.Ê"
"Lovely,tranquil setting. Staff very pleasant and chalets very neat. ÊEnjoyed our stay. Will definitely go back." "The hotel needs further upgrades if it wants to charge the costs it is currently. We were disappointed as it did not match up to the hotel we stayed in the previous year in the berg -which costs a similar amount and has the same rating. The buffet is less than varied. The bar area is s..."
It is adequate.... if you want adequate for ÊR3000 a night! "Absolutely lovely stay, everything was perfect. The resort is situated in a beautiful location with amazing views. The service was excellent, management was very attentive. The chalets were excellent as well; we had more than enough of everything. It was a great getaway and a wonderful experience. I..."
"Absolutely lovely stay, everything was perfect. The resort is situated in a beautiful location with amazing views. The service was excellent, management was very attentive. The chalets were excellent as well; we had more than enough of everything. It was a great getaway and a wonderful experience. 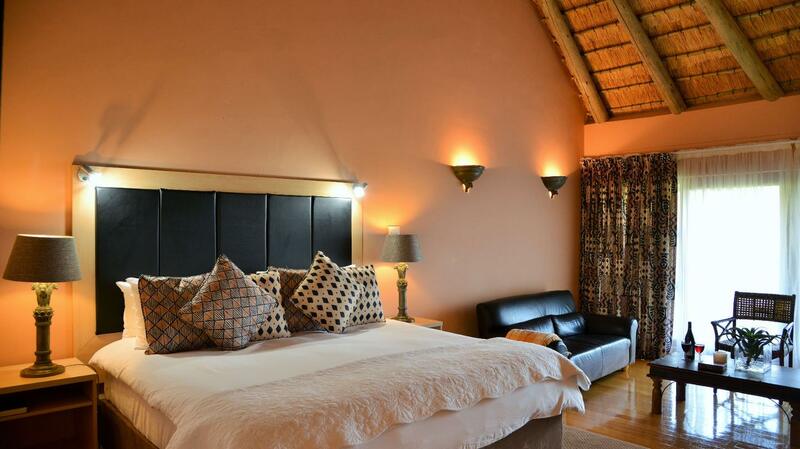 I was also very impressed with RoomsForAfrica, the entire enquiry and booking process went so smoothly. I will definitely be recommending RoomsForAfrica to my family and friends. Thank you to RoomsForAfrica for the outstanding and efficient service." "We had an absolutely excellent stay, we were very happy with everything at Resort. It’s a really lovely place, in a beautiful environment, with really lovely staff that is very attentive and friendly. Thank you for a wonderful stay." "Our stay at the Little Switzerland was truly magnificent! The chalets were lovely and fully equipped. We had such a great time, with beautiful views. We will definitely go back!" Beautiful views, comfortable accommodation and friendly staff made for a very relaxing break. "The area and view is beautiful. The activities are great for young and old. The staff are friendly and accommodating. The dinner a la carte menu was delicious." "Stay was very nice; the place had everything and more. Friendly and helpful staff, rooms comfortable and well appointed. Would recommend this establishment." "The staff were fantastic in every way. They all went out of their way to make our stay so special. We enjoyed it thoroughly. We'll be back." "The place is great. It was good and we'll visit again." "We had a wonderful time at Little Switzerland and the staff were fantastic in every way. They all went out of their way to make our stay so special. Thanks so much and we will be back! "Pleased to have stayed after a while"
"We were very glad to be back after 25 years. We had such a nice time." 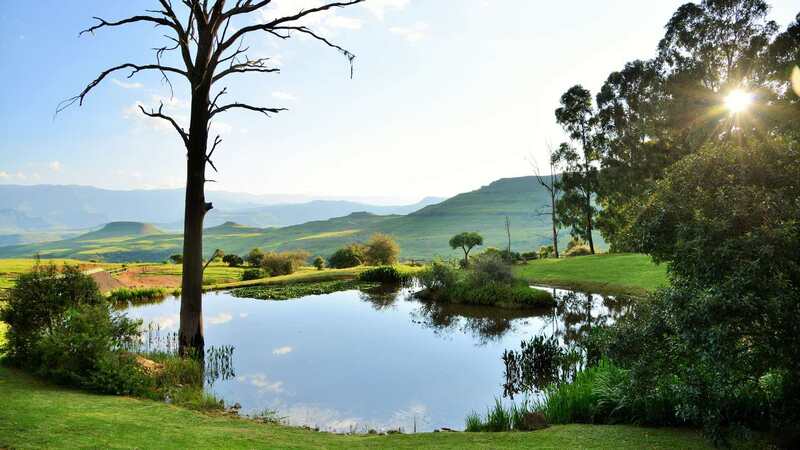 "Beautiful views, lovely staff and a unforgettable experience"
"This is a lovely place in the Drakensberge on the border of KZN and Freestate. It has some stunning views and friendly staff. I got engaged at Little Switzerland on the passed weekend. The staff went above and beyond to make this event a special an unforgettable one. It w..."
I got engaged at Little Switzerland on the passed weekend. The staff went above and beyond to make this event a special an unforgettable one. It was a lovely experience. I would recommend Little Switzerland anyone that wants a lovely weekend away. With just 3 and a half hours trip away from Johannesburg it is just close enough to have a lovely weekend away without spending too much time on the the road. We enjoyed a very relaxing family get-away at Little Switzerland for a couple of days. Excellent service, clean and comfortable self-catering accommodation and amenities in and around the hotel are well maintained. We were a little concerned about the health of the horses at the ho..."
We were a little concerned about the health of the horses at the hotel - they seem to be malnourished (one in particular had protruding hipbones and clearly visible ribcage) and neglected. I do hope someone is concerning themselves with the welfare of these animals. Apart from that, a wonderful stay. The restaurant serves excellent buffet meals, the kids are entertained all day long and the staff are friendly and accommodating all 'round. We will surely be back. "Our stay at Little Switzerland"
"We spent five wonderful days at Little Switzerland. The view from our room was spectacular. The staff were extremely friendly and helpful and the meals were absolutely amazing. We will definitely be back there for more of the same! "I stayed in the executive suite (mountain view). The rooms were clean, spacious and luxurious. The staff is very friendly, welcoming and helpful. And the food is just out of this world! Fresh and finger-licking... little slice of heaven"
"Relaxing weekend away and good value"
"We spent a long weekend at Little Switzerland for our anniversary. Had a lovely time relaxing and enjoying the mountain views and fresh air. The staff were very friendly and efficient. The room was spacious and clean with a patio with great mountain views. The food was good and there was a nice vari..."
"We spent a long weekend at Little Switzerland for our anniversary. Had a lovely time relaxing and enjoying the mountain views and fresh air. The staff were very friendly and efficient. The room was spacious and clean with a patio with great mountain views. The food was good and there was a nice variety. The prices were affordable and there were a range of activities. "This is a fabulous place, hidden away from the noise, traffic, and pollution. The perfect getaway. We had lunch at the restaurant which was really good. The standard of their food is high. 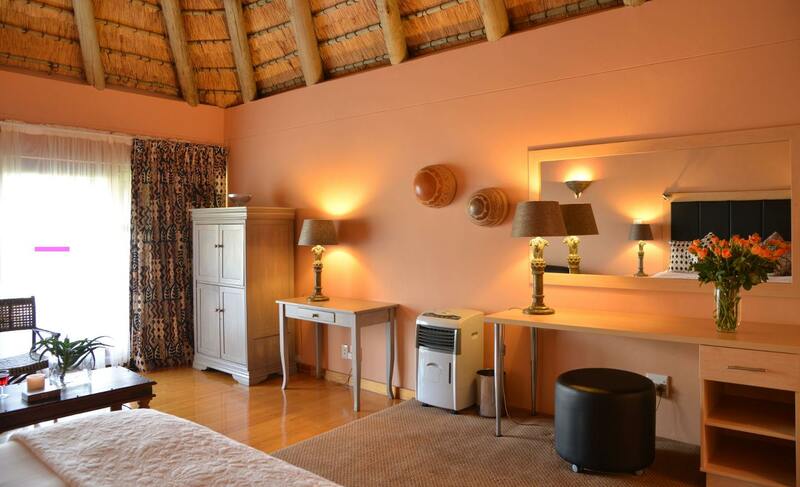 Self Catering Chalets are perfect, well kept and homely. "Over the years we got used to not expect too much from the at food at a dinner, bed and breakfast establishment but we pleasantly surprised at the quality of the food , which was excellent. The portions was also very generous. "Lovely place to relax "
"Everything was excellent during my stay here. I also really enjoyed the surroundings." "I want to thank each and every person involved in making our engagement weekend at Little Switzerland truly special and amazing. The staff has been absolutely awesome, and took it so personal to attend to our every need. You guys will not be forgotten, and definitely visited again and again. Thank y..."
"I want to thank each and every person involved in making our engagement weekend at Little Switzerland truly special and amazing. The staff has been absolutely awesome, and took it so personal to attend to our every need. You guys will not be forgotten, and definitely visited again and again. Thank you for making it awesome! The venue is fantastic and the rooms utterly delightful"
"It's All There, Near Here." 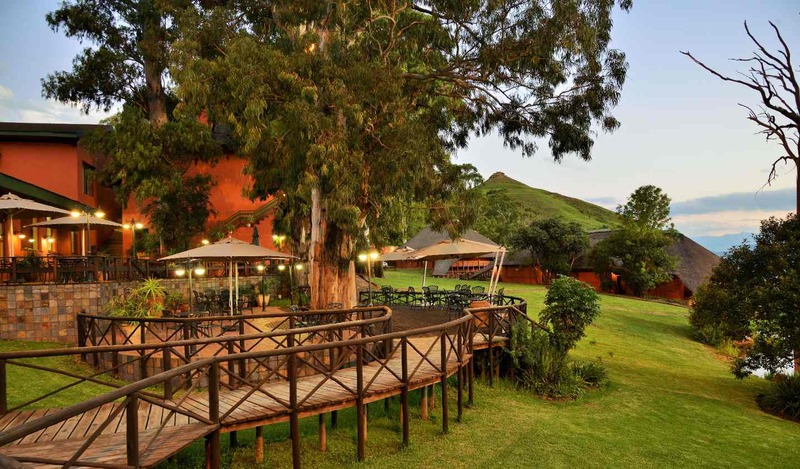 "Bright friendly welcome, Likeable, friendly and helpful staff, rooms comfortable and well appointed except that some brighter central lighting would be nice, wonderful panoramic views of the Drakensburg with The Sentinel and Amphitheatre right there! Food tasty but not all that well presented e.g. 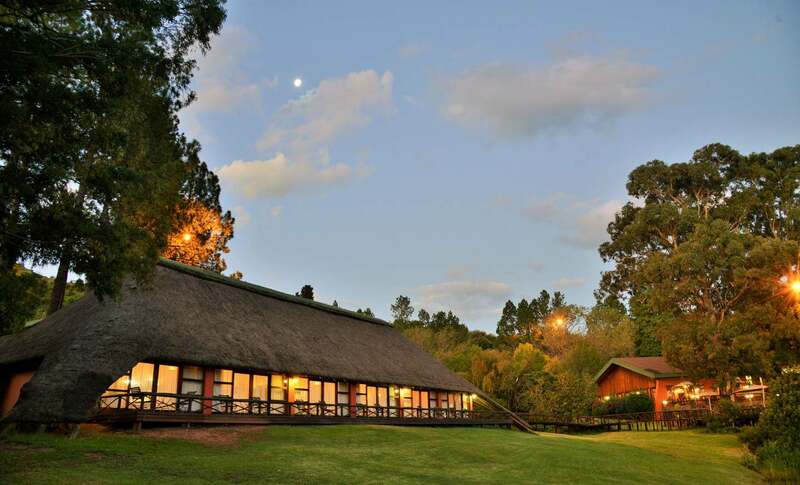 b..."
"Bright friendly welcome, Likeable, friendly and helpful staff, rooms comfortable and well appointed except that some brighter central lighting would be nice, wonderful panoramic views of the Drakensburg with The Sentinel and Amphitheatre right there! Food tasty but not all that well presented e.g. beautifully cooked fillet just dumped on top of chips. Unacceptable not to have marmalade for breakfast! Enjoyed the stay very much. Oh, nearly forgot to say how much we appreciated the bottle of champagne presented to us by Management for our 61st anniversary dinner!" "Little Switzerland is a well managed resort. Everything was perfect. Recommended." "Everything was good for the full duration of my time spent at Little Switzerland and I was comfortable." "Thank you Little Switzerland for a lovely stay. We really enjoyed it and will certainly visit again." "Very clean and neat. The food was from top class and all the staff were helpful and friendly.The strawberries and cream surprise on Valentines day was a surprise. Thank you. Next time I will stay longer." "I had a good stay. They had good facilities. The rooms were clean and comfortable. I will recommend them to others. " "The holiday at Little Switzerland was absolutely amazing. The owners are really friendly and have a good knowledge of hospitality. The place had a nice atmosphere and great facilities. I will recommend them to others. " "The stay here was excellent. I enjoyed everything. The food and hospitality was great and I'd most certainly return there and refer other people to this Resort as well." "I had an excellent stay at Little Switzerland Resort. It was very peaceful and quiet. The rooms are lovely and the staff are friendly. The food is delicious. I will recommend them to others." "I had an awesome stay at Little Switzerland Resort. I hope to be returning again soon. I will recommend them to others. I will use the Rooms for Africa website for future bookings." "I really enjoyed my one night stay here. Everything was all fine and we would definitely visit the place again!" "I really enjoyed my stay. 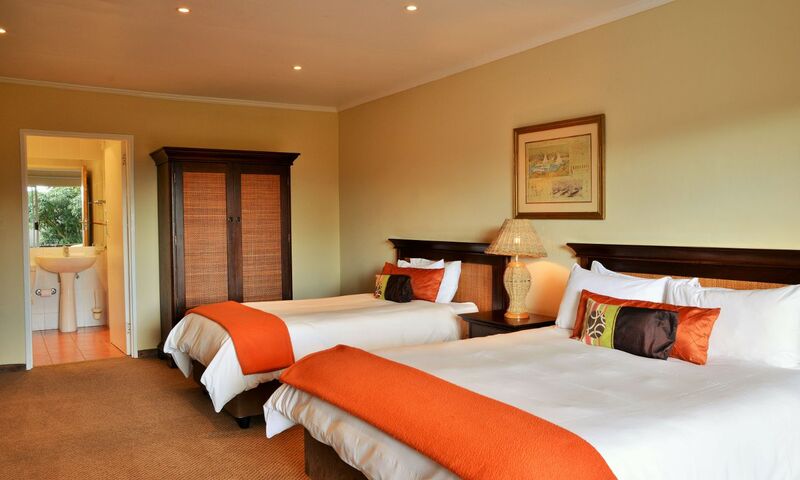 I will be booking my December holiday on the Rooms for Africa website." "The location is beautiful! in the middle of the mountains. waking up to that spectacular view of the Drakensberg is just wonderful. staff were very helpful and friendly. and the food was of great quality. thanks to the Hotel staff and the Coyote Cafe for excellent cuisine. We will go back for sure!" "The duration of my stay at this Resort was very nice. I recommend that others try this place out and will return." 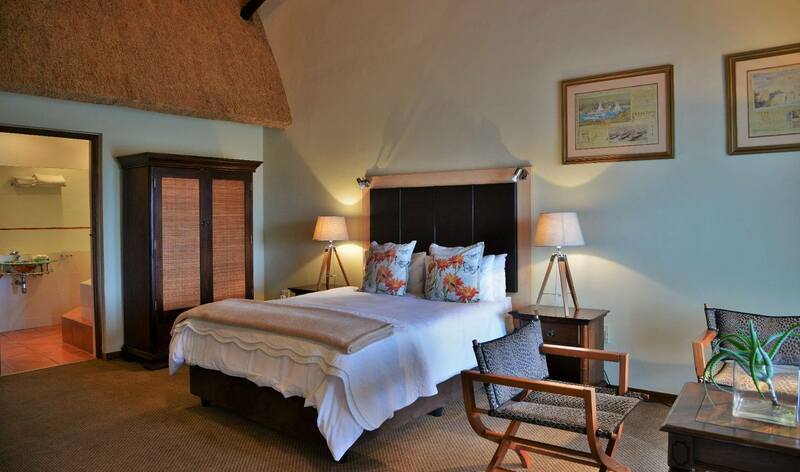 "South African hospitality at its best"
"It was an extremely pleasant stay in the well organised paradise. "We had a lovely stay and enjoyed the food at the hotel. I have four kids; one of which is 3 months and she slept through the nights because of the warmness in the room. The kids enjoyed the fire place. We will return with a bigger group. I had a lovely massage. The chalets are nice and bi..."
We will return with a bigger group. I had a lovely massage. The chalets are nice and big and very comfy. So yes, it's what any family would like. Thanks Little Switzerland." "I had a jolly time at Little Switzerland Resort. I would suggest a visit here to acquaintances." "We were in transit and spent one night at Little Switzerland. Staff were were friendly and helpful. The chalets were nice, neat and warm. Great value for money. The restaurant at the main gate was a huge surprise. We expected toasted treats, but instead we got the best meal of our holiday. I believe..."
"We were in transit and spent one night at Little Switzerland. Staff were were friendly and helpful. The chalets were nice, neat and warm. Great value for money. The restaurant at the main gate was a huge surprise. We expected toasted treats, but instead we got the best meal of our holiday. I believe the chef was on Masterchef SA. That explains it. Superb grub! Thanks for a lovely night." "Everything was fine with my stay. It is a place that I would recommend to others and return for another stay." "We had an enjoyable time here. Due to our good time at Little Switzerland Resort, we would recommend a stay here." "Very happy with my stay"
"My stay was very nice. It is with certainty that I would suggest a stay at this lovely place to everyone and also come stay here again." "A pleasure to be here"
"My time at Little Switzerland Resort was very nice. I really loved it. The rooms were so clean and I enjoyed the environment. I would certainly revisit and have already recommended it to others." "My stay was very pleasant. I would recommend it to others and revisit as well. I would also make use of the Rooms For Africa website again." Staff was friendly at all times." "Have you ever experienced that feeling that you’ve just arrived in a little space of heaven after having driven the road from hell? Well then Welcome to the Little Switzerland Resort in the Drakensberg. If you’re looking for artificial comfort and opulence, then rather support the Hilton family trus..."
"Have you ever experienced that feeling that you’ve just arrived in a little space of heaven after having driven the road from hell? Well then Welcome to the Little Switzerland Resort in the Drakensberg. If you’re looking for artificial comfort and opulence, then rather support the Hilton family trust or any other chain enterprise for that matter. The nature of this resort is very different. 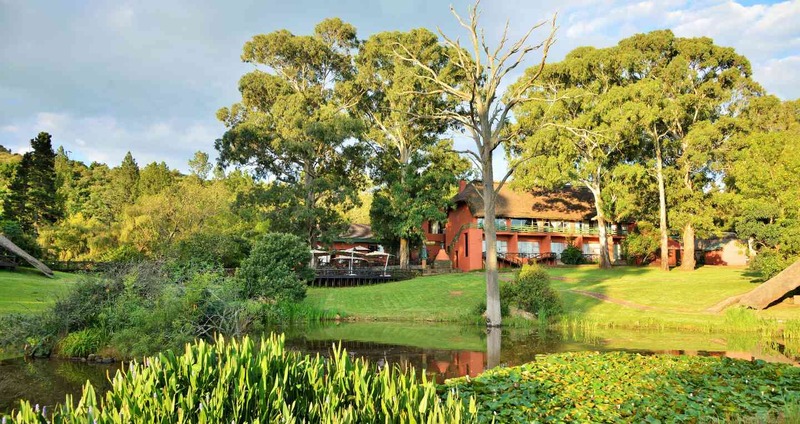 With a history that spans over a hundred years, from having started as a Tea Garden to having transformed into the quaint chalets and hotel rooms with breath taking and majestic views of what feels to be the top of the South African landscape, this resort possesses an old world charm. Led by two forces of nature - Mr and Mrs Mumby, supported by their exceptionally dedicated staff (the genuine smiling voice of Glen Hadden confirming your booking, to the wonderful Barbara and her hospitality and waiter staff in the restaurant, Little Switzerland, possesses a sincere warmth and an accommodating spirit which I haven’t experienced in many of the establishments we’ve been fortunate enough to visit over the years. The Rooms and Décor: We had the pleasure of staying in their Honeymoon suite, overlooking the valley, and (of course my favourite) the stables down below! I found the décor to be in good taste – exquisitely crafted dark wood – not the stained attempts. The room was clean with a wonderful smell, which greets you as you open the front door. The spa bath in the bathroom was a godsend esp. after having returned from one of the numerous (and very well worth it!) hikes the resort has on offer. The Spa: Nancy from the on-site spa offers one of the best Aromatherapy Body Massages ever (and believe me, with the demanding lifestyle of Johannesburg we’ve been to a few). The product they use in the spa is Gatineau – which is still one of my all-time favourites. I have a sneaking suspicion that Mrs. Mumby has something to do with that, one can see she is a true lady in every sense. Food: We enjoyed it thoroughly  The old world restaurant with its high ceilings, offered a buffet with a wonderful range of options. An A’ la carte menu is also available, but we hadn’t dipped into that one, well not yet. Should you be lucky enough to experience the Mezze starter options, you will never want to have it anywhere else. Be very cautious of the desserts however, they chase you down and turn every possible rubber part forcing you to gain at least 5 kgs! Activities on Offer: This resort has the capacity to cater for a myriad of needs - from the team building corporate with conferencing facilities, to the family with young children or the couple whom simply wishes for a romantic and relaxing weekend away. If you are fortunate enough to be able to share the experience with your children they can choose amongst pony rides, swimming, supervised quad biking rides or simply admiring the zebra which wonder in and amongst the buildings. From what I have seen the supervision has been tightened and the entertainment host is an exceptionally fit and patient young man gifted at entertaining both the young and the not so young. As an experienced rock climber and hiker, who knows the trails in this area like the palm of his hand, this young man will make any individual, or group enjoy the beauty this region has to offer. During summer months the resort even has water sports available on the dam! More importantly this family shares their passion and the fruits thereof, with people whom are not always as fortunate. This fact in itself is a great indication of who and what they are, as well as what the heart of this resort entails. "My experience at Little Switzerland was the most memorable experience, although a bit too short but well worth it. I almost never made it due to my vehicle breaking down on my way to the resort but thankfully to great friends whom helped me to enjoy the serenity & peacefulness the resort had to..."
I almost never made it due to my vehicle breaking down on my way to the resort but thankfully to great friends whom helped me to enjoy the serenity & peacefulness the resort had to offer. My family was also overwhelmed by the beauty & tranquillity of Little Switzerland & we made a promise to each other that we will be back to the resort. Thanks to the friendly staff & the awesome facilities on offer that helped us unwind all our stresses & cares & be transported into sheer tranquillity & peace. "We had a lovely stay at Little Switzerland. We would return for another visit." "We arrived after 23h00 on Friday and were pleasantly surprised when we opened the door of our unit. The unit was spacious, clean, smelled lovely and nicely furnished. The daily service was a bonus! This was the first time from all the self-catering places we’ve been at that all the utensils neede..."
"We arrived after 23h00 on Friday and were pleasantly surprised when we opened the door of our unit. The unit was spacious, clean, smelled lovely and nicely furnished. The daily service was a bonus! This was the first time from all the self-catering places we’ve been at that all the utensils needed in the kitchen was actually there! It was a joy cooking. The big fridge and stove was again a lovely surprise. With an amazing view both from the patio and the large upstairs balcony together with the stillness, tranquillity and fresh mountain air we were rejuvenated within three days and actually looked forward to commencing work on the Monday. Our teenage boys had a fabulous time with all the amenities available to them and we will most definitely be back." "Truly wonderful family holiday experience. We stayed at the resort between the 4th and 6th Mar 2014 and despite poor weather the management and staff at Little Switzerland went out of their way to ensure that we were comfortable and well entertained during our stay. The restaurant food is world clas..."
"Truly wonderful family holiday experience. We stayed at the resort between the 4th and 6th Mar 2014 and despite poor weather the management and staff at Little Switzerland went out of their way to ensure that we were comfortable and well entertained during our stay. The restaurant food is world class and the service level is unmatched compared to most establishments. Keep up the great work! - We will definitely be visiting again in the near future. "The visit at Little Switzerland was excellent thank you." "December stay at Little Switzerland"
"Pleasant staff, good food in the hotel, reasonable prices. Chalets are well equipped. Very pleasant stay overall. "My experience of Little Switzerland was so great that I have already informed friends and family to visit there as well. The view from my room was absolutely beautiful. The horse and Zebra walking around create an atmosphere of…”I want to stay here”. My room was also the best I’ve seen in a very lon..."
"My experience of Little Switzerland was so great that I have already informed friends and family to visit there as well. The view from my room was absolutely beautiful. The horse and Zebra walking around create an atmosphere of…”I want to stay here”. My room was also the best I’ve seen in a very long time (and I do travel a bit). " "We had an excellent stay at Little Switzerland Resort. We would definitely revisit and recommend this guesthouse." "We came for only 4 days and the chalets were perfectly equipped, the bedding warm, and everything we needed was there. Each day we went for a walk, we were given a range of options, some longer through the forest and up the mountain, and some shorter to a gentle river and then relaxed by the fire or..."
"We came for only 4 days and the chalets were perfectly equipped, the bedding warm, and everything we needed was there. Each day we went for a walk, we were given a range of options, some longer through the forest and up the mountain, and some shorter to a gentle river and then relaxed by the fire or outside watching horses and zebras wonder around. So it was only 4 days but it was a really restorative time. "Excellent resort, all staff are friendly and facilities are lovely. Definitely worth a visit." "Wow, the views in this place are out of this world. Breath taking indeed and relaxing activities. I will definately recommend this places for a great couples outing." "Paying attention to guest needs"
"We thoroughly enjoyed the time we spent at Little Switzerland. We were there on a family holiday and were so impressed by the number of staff at the resort who seemed determined to do what they could to ensure that we had a great time. I can see how that would translate into excellent service of cor..."
"We thoroughly enjoyed the time we spent at Little Switzerland. We were there on a family holiday and were so impressed by the number of staff at the resort who seemed determined to do what they could to ensure that we had a great time. I can see how that would translate into excellent service of corporate clients. The time in this beautiful and professionally managed resort was well worth travelling over the short stretch of poor road over the Oliviershoek Pass. Taken slowly it posed no threat." "Chalets are a bit old but neatly maintained. The place has the most beautiful views from the top of the mountains and great walking trails. " " Fantastic. Accommodation comfortable, well serviced by friendly staff. Children activities managed by very capable ladies, guided hikes too. "We really enjoyed the stay, will like to thank the friendly staff and its management. The chalets are so cosy and classic." "Wat 'n wonderlike ontvangs en verblyf. Baie dankie vir die puik diens en skoon chalets, die kaggel vuur en die vriendelikheid." "We had a great time at Little Switzerland, treating our family from Mauritius! The views were fantastic and very pleasant service was received by the staff,. We swill definitely stay here again. Not to mention the vast amount of activities planned for the day!" "Little Switzerland was really great! Thank you so much for your hospitality!" "Wow! We had such an awesome time! Thank you so much!" "Our three night stay at Little Switzerland"
"My family and I enjoyed our stay at Little Switzerland. We loved the peaceful and scenic view of the mountains. We loved the privacy of our cottage and were impressed with the facilities available. We enjoyed the horseriding and the hiking. The staff were friendly and helpful. I would recommend..."
"My family and I enjoyed our stay at Little Switzerland. We loved the peaceful and scenic view of the mountains. We loved the privacy of our cottage and were impressed with the facilities available. We enjoyed the horseriding and the hiking. The staff were friendly and helpful. I would recommend this establishment to my friends." "We had a very nice stay in the deluxe mountain view suites. You could just sit there and look at the mountains. We enjoyed our stay together with our three-year-old daughter who loved the horse riding. The dinner was even better than we expected. We really can recommend Little Switzerland and will d..."
"We had a very nice stay in the deluxe mountain view suites. You could just sit there and look at the mountains. We enjoyed our stay together with our three-year-old daughter who loved the horse riding. The dinner was even better than we expected. We really can recommend Little Switzerland and will definitely come back!" 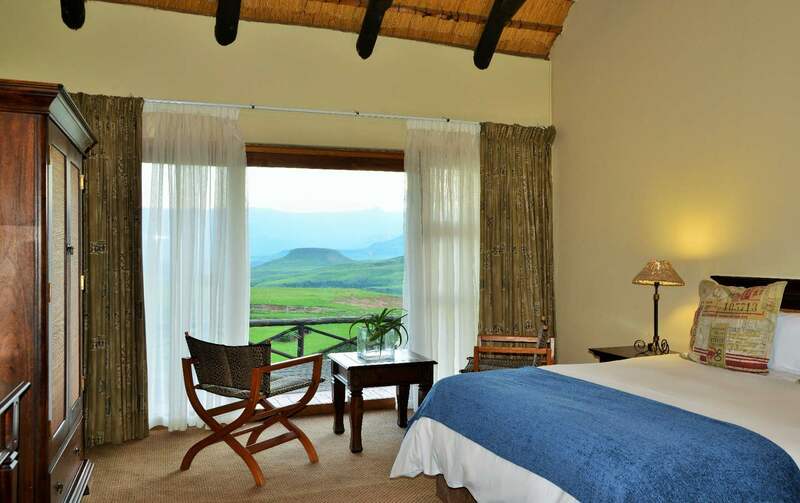 "If you want a great view of the Drakensberg it is a must that you stay there. The chalets are fully equipped and extremely cosy. Definitely going back next year." "Thank you, we have enjoyed our stay tremendously. The service was fabulous and we were surprised for all the staff's attention towards us. Our experience surpassed all our expectations. The menu and kitchen staff were excellent. We will for sure come again"
"Great, so much to do. They even made me feel special for my birthday with cake and a candle without anyone telling them. Wished for snow but maybe on a next visit." "It was relaxing and peaceful"
"The view was amazing and service great. The chalet had all the necessary items and was cleaned on time everyday. "A very nice and cozy place, which was beautiful and perfect. They have a nice and perfect restaurant. 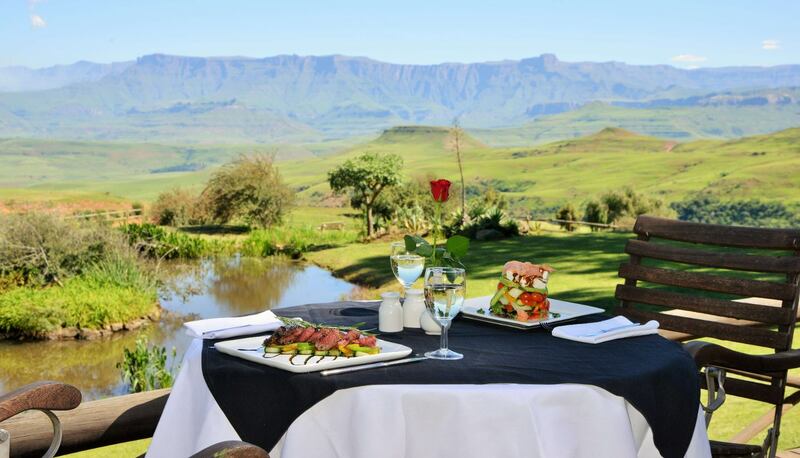 It has a beautiful view of the Drakensberg. The staff is perfect. would definitely want to go back for longer than the one night we stayed there"
"Wow! Wow! This is how I felt after a well relaxed weekend! The Hotel more than lived up to its promises, we had a fantastic time. The Deluxe Suite that we had was excellently furnished and was filled with warmth and made us feel immediately at home! Although it was a rainy weekend, the indoor atmosp..."
"Wow! Wow! This is how I felt after a well relaxed weekend! The Hotel more than lived up to its promises, we had a fantastic time. The Deluxe Suite that we had was excellently furnished and was filled with warmth and made us feel immediately at home! Although it was a rainy weekend, the indoor atmosphere made up for us not being outdoors. The view from our room of the Amphitheatre was stunning and unbelievable. We highly recommend the SPA, very skilled and friendly staff that made the treatments that much more special! The meals were indeed excellent and although Buffet on both evenings, the variety was different and of very high quality, highly recommended! We truly had a memorable weekend and will definitely return!" "We originally wanted to stay in the self catering chalets as we have a 7 year old daughter but management offered us alternative arrangements and as we wanted to visit we made the booking. WOW! It was great, good food and very friendly and helpful staff. Pony rides, Putt Putt and play station all pr..."
"We originally wanted to stay in the self catering chalets as we have a 7 year old daughter but management offered us alternative arrangements and as we wanted to visit we made the booking. WOW! It was great, good food and very friendly and helpful staff. Pony rides, Putt Putt and play station all provided (Thanks from Candice!) A stunning setting. Did not realise that there was a kiddies menu until the last day-Candice was not up to the indescribably delicious snails and mussels amidst other delicacies. Well done to the chef - he certainly knows what he is up to. Not inexpensive, but all round excellent value for money. Please can you perhaps extend the breakfast hours on a Sunday till 10h00. Once again-Well done to the staff, we will be back, many more times!" " All of the staff from all the different parts of the hotel were so polite and friendly and helpful. Nothing was to much trouble for anyone. Our room was so comfortable and spotlessly clean and the touches with the fruit, roses and platter of snacks every evening was perfect. We have been fortuna..."
" All of the staff from all the different parts of the hotel were so polite and friendly and helpful. Nothing was to much trouble for anyone. Our room was so comfortable and spotlessly clean and the touches with the fruit, roses and platter of snacks every evening was perfect. We have been fortunate enough to stay at many hotels around the world and we will definitely be coming back to Little Switzerland. Thank you for a relaxing wonderful weekend. See you soon. Dave and Cindy Lurie." "We spent 3 nights for our honeymoon at Little Switzerland and it was excellent.Very relaxing stay and it was the extremely helpful and friendly staff that made our stay most memorable. We felt like VIP's being greeted and shown to our table for dinner and breakfast. The hosts already knew who we wer..."
"We spent 3 nights for our honeymoon at Little Switzerland and it was excellent.Very relaxing stay and it was the extremely helpful and friendly staff that made our stay most memorable. We felt like VIP's being greeted and shown to our table for dinner and breakfast. The hosts already knew who we were and even made sure my wife's vegetarian needs were met. Great place for a relaxing getaway....Well done to all the staff..."
"Little Switzerland is a beautifully situated resort with excellent facilities for all. Pony rides were a hit with the kids. Staff could be more friendly but I suppose such a large resort will inevitably be slightly impersonal." "View we will never forget"
"We were on holiday with the three of us and we were never there before, we liked the setting of the hotel, distances are always far in South Africa it was a long ride to other sightseeings in Drakensberg, like Giant Castle for example. We have to compliment you with the wonderful food you wer..."
We have to compliment you with the wonderful food you were serving and your excellent winelist. Also the house that we where sleeping is was beautiful with a view we will never forget"
"The setting of our chalet was absolutely gorgeous, it felt as if we were alone in the mountains. The children enjoyed the pool, jungle gym and horses." "We loved the views of the mountain. The chalet was however very standard and the 4-sleeper chalet we slept in was cramped (especially in the living area with the two pull-down beds). The staff were very friendly and the restaurant food was very tasty with very good service. "Ran the Mount aux Sources 50km challenge and unfortunately did not have time to explore the surroundings at the resort; maybe next time"
"We had a most enjoyable week here, the kids just had an absolute ball, relaxing for parents with very comfortable accomodation and good home cooked food." "Little Switzerland BIG on family ..."
"We were pleasantly surprised at the effort being put into making a stay at the Little Switzerland a family experience and the amount of effort that goes into entertainment for the little ones was greatly appreciated." "Your own little slice of Peace"
"The time we spend at Little Switzerland can best be described as restorative. The sheer magnificence of the mountains and the peace and quiet that surround the area force you to be still - to take time to glory in the wonders of nature and to surrender to a feeling of utter peace. Every aspect of ..."
"The time we spend at Little Switzerland can best be described as restorative. The sheer magnificence of the mountains and the peace and quiet that surround the area force you to be still - to take time to glory in the wonders of nature and to surrender to a feeling of utter peace. Every aspect of our stay at the chalets was idyllic. The only problem is that you have to leave ..."
"We enjoyed the weekend very much. It was a pity we did not see any snow but maybe next time. The only negative comment that I can make is that the health centre prices is a bit high, what I could suggest is that in winter time maybe they can make the charges cheaper. Otherwise that place is awesome...."
"We enjoyed the weekend very much. It was a pity we did not see any snow but maybe next time. The only negative comment that I can make is that the health centre prices is a bit high, what I could suggest is that in winter time maybe they can make the charges cheaper. Otherwise that place is awesome. Well done!!!!!!!!" "My husband and I absolutely enjoyed our stay at the resort. It was a perfect weekend getaway for our first anniversary. "Little Switzerland Hotel - the BEST"
"The hotel was lovely - staff extremely helpful and friendly!! The food was out of this world !! Compliments to the chef and kitchen staff - the buffet at night was absolutely DELICIOUS, WONDERFUL, very special! !